All–Time for an update on current developments. Although the show season is over, we continue to remain very busy. Just received from Kato USA the Santa F7 A-Units and B-Units; the “Super Chief” 8-car passenger car set plus 4-Car add-on set; and the “El Capitan” 10-car set plus 2-car add-on set. The Atlas Trainman Heavyweight passenger cars just arrived in Central of New Jersey, Boston & Maine, and Rio Grande, both 5-car sets as well as individual cars. There are also a few Chesapeake & Ohio 5-car sets left. Finally, there are a small number of Rapido Osgood Bradley Cars remaining in Delaware & Hudson, Southern Pacific Sunset and Two-Tone Gray Scheme, Cotton Belt Daylight, and Canadian National. Lehigh Valley and New Haven are sold out! We still have a few of the March and April 2019 Micro-Trains releases, including three numbers of the TTX Fuselage 2-Packs. Very few of the Atlas 20,00 gallon Pemex Tank Cars (3#s) remain. For you foreign train operators and collectors, please see our listing of Kato Japanese and European trains. The models of the European ICE will be here this summer. Just a few of the fabulous “Seven Stars to Kyushu Luxury Train” remain. We will keep you posted on new developments. All–Just wanted to say that it was great to see old customers and friends, as well meet new people at the recent Amherst (Springfield) and Great Scale Train Shows. We have been very busy making changes to this website and updating our product listings. First, the web site changes. 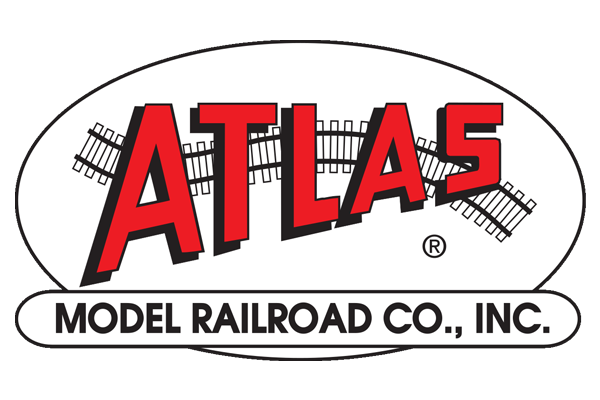 We have updated as well as added separate pages for N Scale Diesels–Kato, Fox Valley, Broadway Limited & Atlas. We also added in-page linkages to make it easier to browse the Kato listings. We consolidated the N Scale brass sections into a separate entry broken into diesels, steam, passenger car, and caboose sections. There are 30 new listings of Key Imports, KMT (Kumata) and rare Hallmark Baltimore & Ohio (B&O) and Pennsylvania (Pensy) items. The brass listing contains approximately 45-50 items with more Eastern as well as Western Brass to be added soon. Again, if you see an items that interests you, please requests photos. For you passenger train collectors and operators, the passenger car section has been expanded and will soon include in-page links to make it easier to search. We just listed new release of the Rapido Osgood Bradley cars in: Canadian National, Delaware & Hudson, New Haven, Seaboard, Southern Pacific Two-Tone Gray and SP Sunset colors. Look for a listing of a large number of new or like new B&O and Pensy cars from Bachmann, Centralia Car Shops, Rapido, and Micro-Trains. Turning to foreign trains, you can view the latest releases of Kato European and Japanese models in the newly-created section on foreign trains. The highly awaited Kato “Seven Stars To Kyushu 8-Car Train” is due in early March. The European (German) ICE train and the Japanese revised Super Komachi Shinkansin Bullet Trains are due this summer. The N Scale freight car section is being updated and will include in-page links to make it easier to search for items. Watch for many new entries very soon! Turning to HOn3, there are a small number of new Blackstone Tsunami-equipped models remaining–1 K27 and 5 or 6 C19s. All freight cars are sold but there is still some PECO Flex Track and Switches in stock. The second run of the Blackstone D&RGW 30′ refrigerator cars should arrive this spring. The HO Brass section as well as the O Scale section will be updated after we complete the N Scale freight cars. Rather than take more time away from you browsing our site, just want to thank you again for your business and support. YOU–OUR CUSTOMERS–ARE OUR MOST VALUABLE AND TREASURED RESOURCE! All–We look forward to seeing you at the Amherst (Springfield), Mass.) Railroad Show this weekend. We are located in the Better Living Center Building Section 17. The operating display will feature 6 N Scale trains (mostly DCC & Sound) plus a tram operation run simultaneously. There will be several surprises; including a large N Scale Pennsylvania Collection of passenger cars and some diesels; a big N Scale Brass Collection of Pennsylvania, Baltimore & Ohio, and Southern Pacific items; many DCC-equipped Kato and Fox Valley Models diesels; as well as new freight cars; and, of course Unitrak! For our customers that model foreign prototype trains, there will be a good selection of Japanese and some European N Scale train sets. There will also be some surprises for HO customers, including brass models, Broadway Hybrids, some Kato diesels, and over one dozen new Blackstone HOn3 locomotives. 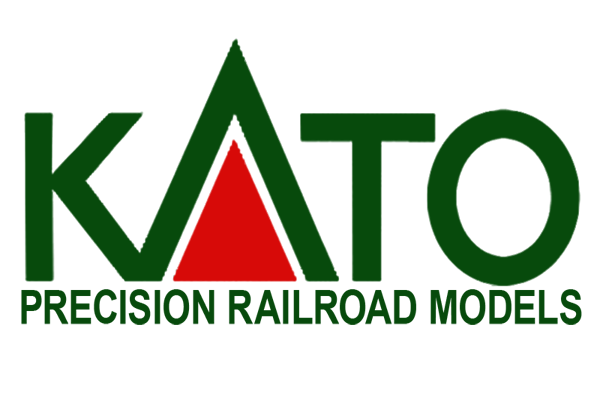 Just a brief note to inform you that we will be displaying and selling at the World’s Greatest Hobby Show (WGH) in Oaks, Pennsylvania (outside of Philadelphia) on Saturday-Sunday, January 12-13, 2019. WGH is an outstanding show for railroad fans of all ages. There will be many manufacturers, outstanding modular layouts, clinics, as well as amusements for the youngsters. We are bringing the large display (6 operating trains), as well as our smaller layout that features operating trams going around 12″-14″ circles of N Scale track. Looking forward to seeing everyone! All–Thanks for your support in making 2018 a terrific year! We look to provide more new and rare items at highly attractive prices, as well as an update to the web site in 2019. As 2018 draws to a close we have updated our N Scale Inventory of locomotive, passenger cars, and freight cars. 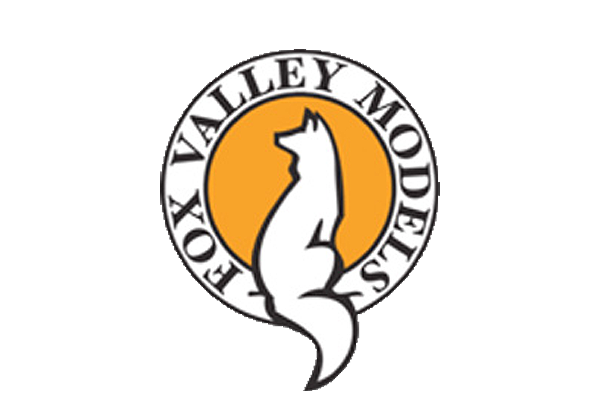 We still have a good selection of Fox Valley Models diesel locomotives, H30 hoppers in Penn Central and Norfolk & Western, and B&O Wagon Top Cabooses, as well Wheels of Time freight and passenger cars. New arrivals include more Kato SD70ACEs in “The Spirit” and Traditional Yellow schemes in analog and DCC. We managed to locate more “brand new” BLMA CEFX 5660′ Trinity Hoppers and some older Micro-Trains freight cars. There is also have a good selection of Kato-built Japanese and European trains ranging from large streamlined trains sets to small mountain railroad sets that run on 6″-7″ radius curved track. We will soon be adding a listing of Kato centrams and starter sets with trams. 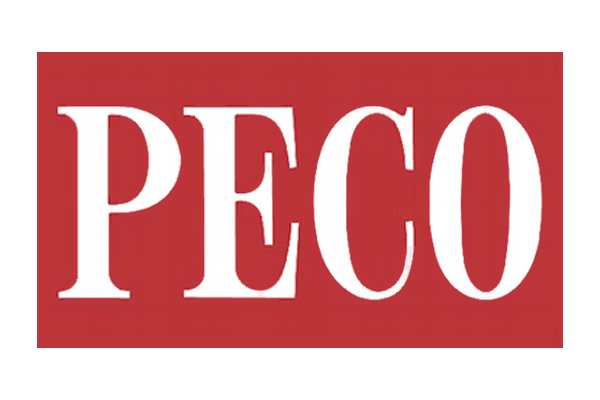 In January, we will list a large selection of N Scale Key Imports and Hallmark Pennsylvania and Baltimore & Ohio brass, including PRR Decapods, Mountains, and diesels. There will also be a large number of new and test run only Micro-Trains, Centralia Car Shops, and Rapido heavyweight and streamlined passenger cars. Turning to HOn3, only a handful of Blackstone K27s and C19s remain, mostly 1 or 2 of each model. The freight cars are sold out and we are running low on Peco flex track and switches. If interested, please contact ASAP! We wish all a Happy, Healthy, and Prosperous 2019 and look forward to seeing you at the Amherst Society Railroad Show in Springfield, Massachusetts on January 26-27. Great to see many of you, as well as meet new customers at the recent Greenberg Train Show in Edison, New Jersey! Many new arrivals, including a large number of Kato-built Japanese and European models. The arrivals include: Dr. Yellow powered and unpowered inspection car sets; “681” Series Shirasagi 6-Car Express; EF65 Freight Diesel in Blue; the Ishikawa “521” Series 2-Car sets in purple or violet; the Hakone Tozan Mountain Railway 4-Car set; various freight cars; and the Swiss 4-Car add-on sets for the Rhatische Bahn Railway. This week we expect to receive DCC-equipped versions of the Kato SD70ACe Union Pacific “The Spirit.” There will also be 3#s of the analog version of the Union Pacific SD70ACe Nose Headlight Version in yellow. We also expect to receive the new Karo power packs, as well as more Kato Trams (Black, White, and Silver), and Virginia Railway Express sets. Look forward to seeing you at the Greenberg Train and Toy Show at the Chantilly, Virginia Expo Center on December 15-16. Just a brief update on developments. We completed updating a large section of our website including: N locomotives plastic and brass; N Scale Kato & Micro-Trains passenger car sets; N Scale Unitrack; Japanese and European N foreign train offerings; as well as HO brass and plastic and Balckstone Hon3. We are working on listing the remaining individual N passenger cars as well as adding new brass and plastic consignment items, followed by freight cars. The update revealed that we are running very low on Kato SD70ACes, all Norfolk Southern diesels, Broadway E and F Units, as well as Fox Valley GEVOS. Regarding Fox Valley, we are done to 1 or 2 of each unit. For our Hon3 customers, we are well below 20 models of K27s and C19s. The factory is virtually sold out of these Tsunami sound-equipped models. Once these are gone, there will be no more! New items continue to arrive almost daily. We still have a few Kato Union Pacific SD70ACes “The Spirit” in analog. DCC-equiped units will arrive shortly. The first shipment of Broadway Limited Pennsylvania T1 (4-4-4-4) Duplexes with DCC & Sound has arrived and is selling out fast. Order now to avoid being disappointed! Looking forward to seeing you at the Greenberg Train Show at the Raritan Center in Edison, New Jersey on November 24-25. Happy Thanksgiving to all! Welcome! There are many developments to discuss. First, the analog version of the Kato Union Pacific SD70ACe “The Spirit” have arrived. DCC-equipped versions will arrive in two weeks. These units are selling out fast so do not delay! The long awaited Broadway Limited Imports N Scale version of the Pennsylvania Railroad’s T1 Duplex (4-4-4-4) equipped with DCC and Sound should arrive late this week. Demand for these models is among the highest we have seen for N Scale steam locomotives. We are nearly fully reserved but there are a handful not spoken for. If interested, lease contact us ASAP! A large N Scale brass collection consisting of Pennsylvania and Baltimore and Ohio prototype models just arrived. We are testing and cataloging these units and they should be online within the next week. There are approximately 30 units, including: Key Imports PRR T1s, Decapods, Mountains, Texas J1 2-10-4s, as well as other models. For the B&O fans, there are factory and custom painted 4-8-2s, 2-10-2s, 4-6-2s, as well as the Cincinnattian locos and passenger cars. We are in the process of updating our listings so look for more Kato, Micro-Trains passenger cars, freight cars, large runner packs, as well as a few surprises, including more Fox Valley Models Baltimore & Ohio Wagon Top Cabeese. There are also a number of Fox Valley GEVOs and older, scarce Kato SD70ACes. November 24-25, 2018: The Greenberg Train Show at the Raritan Expo Center in Edison, New Jersey. December 15-16, 2018: The Greenberg Train Show at the Chantilly Expo Center in Chantilly, Virginia. January 26-27, 2019: Amherst Railway Society Train Show. Eastern States Exposition, 1305 Memorial Avenue, West Springfield, Massachusetts. We will be located in the Better Living Center Building, Area 17. Please join us to celebrate our 10th anniversary show at Springfield! February 2-3, 2019: Great Scale Model Train Show, Maryland State Fairgrounds, Cow Palace, Center Hall, Timonium, Maryland. Fall is here, the children and grand children are back in school, and it is time to to get back to model trains. Many new items have arrived, including: Kato Union Pacific E8/9s in analog and DCC; the 11-Car UP City of Los Angeles passenger trains; the new “Operation North Pole” Christmas train set consisting of a beautifully painted and lettered F40PH and 5 holiday cars; and new Gunderson MAXI-IV Twinstacks TTX with New and Old Logos (Canadian National containers and EMP in Green). Also have received many new MicroTrains and some Broadway sound and DCC-equipped Pennsylvania Railroad models–F3s; F7s; E7s; and E8s. Broadway HO includes the brass hybrid Chesapeake & Ohio J3A (4-8-4) with DCC. Sound & Smoke. Fantastic model and selling out rapidly! The N Scale PRR T1 Duplex is now due in early November. Turning to narrow gauge, we have seen increased interest in Blackstone models. The C19s have sold out but we still have a handful of K27s remaining. Given the price of brass models and the increasing cost of new releases from China, these sound-equipped K27s represent excellent value as well as the highest operating qualities. If you are in Hon3, do not delay because once gone there will be no more! As of my posting this update, there are approximately 17 models remaining. Just a heads up to you Pennsylvania fans as we expect to receive by the end of this month the first installment of a large collection including many Key and Precision Scale brass models, Kato and Broadway locos, passenger car sets, and many Micro-Trains freight cars. Many of these items are either new or have only been run briefly. Stay tuned! We will be at the Great Berea Train Show this weekend and look forward to seeing you there. Until next month best to all! It was great to see our customers and meet many more new faces at the August Edison and Chantilly Train Shows, as well as the recent 50th O scale National Convention! The new model train season is now beginning. The hobby is alive and well. The models imported, particularly N Scale, are of the highest quality and variety ever seen. Just a brief note on photos. The web site contains a handful of photos, but there are hyperlinks to most manufacturers. If there is an item you are interested in purchasing, particularly some of out brass offerings, please request photos which we will gladly send to your e-mail address. We can respond to most requests within 24 hours, if not sooner. We are currently updating the web site to include new releases: Kato Union Pacific “City of Los Angeles” 11-Car Set; Kato E9 A-Units and B-Units with Nose Heralds available in analog or DCC; soon the Broadway Limited Pennsylvania T1 Duplex (4-4-4-4) w/Sound and DCC; as well as many new Micro-Trains releases. There will be some brass items from collections recently acquired. October 6-7, 2018: The Great Berea Train Show at the Cuyahoga County Fairgrounds which is located just south of the Cleveland Hopkins Airport. The NMRA Division IV sponsors this outstanding show. October 27-28, 2018: The Great Scale Model Train Show, Maryland Fairgrounds, Cow Palace, Timonium, Maryland. November 24-25, 2018: The Greenberg Train Show at the Raritan Expo Center in Edison, New Jersey. We are located in Row BB, Tables 1-8. Look for our operating display of 6 N Scale Trains as well as Trams! Busy month as we prepare for shows in Edison, New Jersey, Chantilly, Virginia, and Rockville, Maryland. Just a few words on the recent closure of a large Chinese manufacturer and supplier of trains to the U.S. market. Business cycles, land values, labor costs, and related issues, whether in China or another country, drive companies to make decisions regarding business operations. Some companies go out of business while new entrants enter the market to take their places. The affected American companies are doing everything within their power to seek new suppliers and there should be a new business equilibrium in the near future. Often as doors close, others open with new suppliers, products, and technologies. We remain optimistic and urge our customers to be patient. Enough said! Just received Kato SD70MACs Alaska and BNSF in analog and DCC versions. Models selling out rapidly, particularly Alaska version. The analog version of the Union Pacific E8/9 A-Units (w/Nose Herald) and B-Units just arrived. The Micro-Trains, including Cotton Belt Daylight and Rio Grande passenger car heavyweight sets, are here. The Kato reissue of the 11-car “City of Los Angeles” passenger set is due in September. Fall will also bring the Broadway N Scale Pennsylvania T1 Duplex with DCC and Sound. Looking forward to seeing you at the shows! Please “Like Us” and “Follow Us” on Facebook and Twitter! Kato USA: The analog version of the Kato Alaska SD70MACs (Nose Headlight Version) just arrived. The Burlington Northern Santa Fe version is due in several days. DCC-equipped models set to arrive sometime in August. These very popular models are selling out quickly. The SD70ACE Union Pacific “The Spirit”, as well as E9s and the “City of Los Angeles” passenger car sets also due in August-September. We also will be listing shortly reservations for a large number of Kato Japanese prototype models. 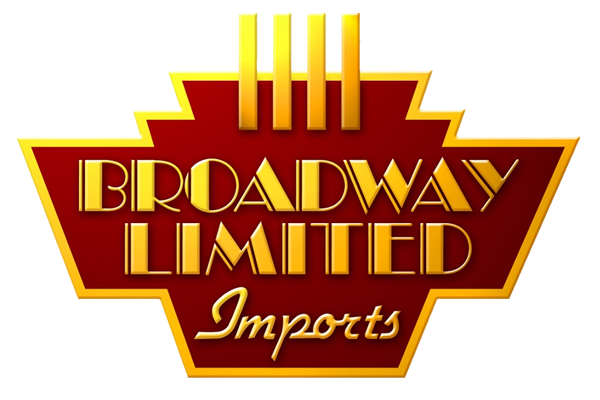 Broadway Limited Imports: There are just a few Broadway Limited Imports Pennsylvania Railroad E7/8 and F-3/7 sets remaining. The arrival date for the Broadway N Scale Pennsylvania T1 Duplex (6 separate numbers) has been moved back to mid-September. The HO Chesapeake & Ohio J3A Greenbriar with smoke, sound and DCC arrives in September. Reserve now as just a few are remaining. Atlas: The Norfolk Southern SD60Es w/Lok Sound arrive in the late fall. The run includes the very colorful and popular “9/11” and “First Responder” Logos. Another run of the popular 60′ heavyweight passenger car sets due this fall. Road names include: Denver & Rio Grande; Central of New Jersey; Boston & Maine; New York Central; and Grand Trunk Western. Models will be available in 5-car sets or as individual cars with multiple road numbers. 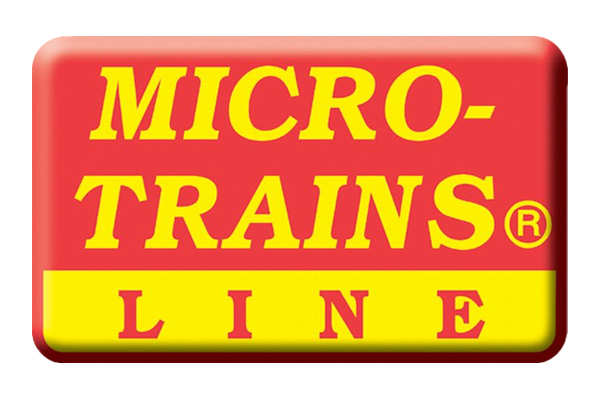 Micro-Trains: The July run is here. We have a few Cotton Belt Daylight 5-car sets left, as well as several sets of the very popular PFE reefer 16-packs weathered only. Rio Grande heavyweight 5-packs due shortly as well as more weathered freight cars. The repaints of the Union Pacific two tone heavyweight observation cars just arrived. Please check freight car listing for new many Micro-Trains cars and runner packs. Rapido: This company just announced a new N Scale diesel locomotive–a model of the General Electric Dash 8-40CM in four major liveries. The liveries will include: two Canadian National (CN) paint schemes, British Columbia Railroad, and the Quebec North Shore & Labrador. Rapido will offer prototype correct versions of the CN and BCR units. August 11-12, 2018: Greenberg Train Show at the Raritan Center in Edison, New Jersey. The latest run of Broadway E-Units and F-Units equipped with Paragon 3 Sound arrived about a week ago. We are nearly sold out save for 1-2 sets of Pennsylvania F3s, F7s, E7s, and one number of the E8 A-Unit. There are also 1 or 2 Southern Pacific Golden State ABB sets remaining. The June Micro-Trains have arrived and include a Union Pacific two-tone gray paired window coach, Southern Pacific husky 70′ well cars, and other items. We should receive the Micro-Trains Cotton Belt Daylight Heavyweight 5-Car Sets, Burlington Northern 4-Packs, Ringling Ad Cars #5 & #6, as well as weathered cars ( Railbox, KCS Butterfly & MOPAC) within a week. The Kato SD70MACs in Alaska and BNSF are due in 2-3 weeks. Summer is finally here! We open the summer this weekend at the Great Scale Train Show at the Maryland State Fairgrounds in Timonium, Maryland. Look for us in the Exhibition Hall. Here are some of the new products that we will have at the show: more Fox Valley B&O Wagon Top cabooses; the May and June 2018 Micro-Trains releases; Kato TGV Reseau 10-car high speed passenger train; Broadway Limited’s sound-equipped F3s; a collection of C&NW and Milwaukee freight cars; Kato’s automated crossing gates; and much more. On June 9-10, 2018 we will be at the Great Scale Train Show at the Maryland State Fairgrounds, in Timonium, Maryland. Please note that the Great Scale Train Show’s summer show is a smaller show and will be in the Exhibition Hall rather than the Cow Palace. We traditionally have a smaller presence at this show, so if you are looking for certain items, please contact us in advance of the show. Just a brief note to let you know that we completed updating the N Scale freight car listings. In the next 30 days, we plan to add more products including: (1) more N Scale brass items; (2) additional freight cars such as autoracks and 3-car sets of Red Caboose Coil Cars; (3) more passenger cars; (4) a section on “Special Sale Items”; and (5) a section for you to make Advance Reservations. Just completed updating the N Scale passenger car section. We still have a few Centralia Car Shops Pullman Standard 52′ Coaches in: C&NW; Nickel Plate; and Southern Pacific Sunset Limited. The remainder of the year features some great passenger car equipment such as Kato’s new run of the 11-Car Union Pacific “City of Los Angeles” set, as well as matching Union Pacific E9 units with the nose decals. Turning to heavyweight trains, Micro-Trains will release this summer 5-Car Heavyweight sets in the SP-Cotton Belt Daylight Scheme and Rio Grande in the gold and 4-stripe scheme. InterMountain has announced for Fall delivery Centralia Car Shops 13 Double Bedroom Sleepers in many popular schemes, including Pennsylvania “Fleet of Modernism” (4 #s); Pennsylvania Tuscan 3-Stipe (4 names); Southern Pacific Sunset (4 #s); Southern Pacific Lark as delivered (4 #s); a re-release of the later Southern Pacific Lark in the dark gray scheme (4 new #s); New York 20th Century Limited (4 names); New York Central Postwar 1946 (4 names); Ferrocarriles Nacionales de Mexico (4 names); Ringling Bros. and Barnum Bailey (4#s); and Long Island (3 names). Just a brief note to inform you that we have completed updating the N Scale locomotives section. It now includes the new Kato Amtrak F40PH Early and P42 Phase V Late releases in analog and digital; more F3 A and B-Units Western Pacific, as well as PA A and B-Units Rio Grande (both analog and digital) to pull your California Zephyr passenger car trains; and the new TGV Reseau 10-Car French modern passenger train set. Tomorrow, we begin updating the passenger and freight cars, including the May 2018 Micro-Trains releases which arrived today. For you traction fans, we are now offering a special on the Kato Unitram. We are selling a tram (green or white) and a loop of Unitram track in the correct American roadway scheme. Our special price will be $250- for the Tram and the Unitram track set. This represents a savings of approximately $125- over the price of the tram and track set when available for separate sale. Please order now as quantities are very limited. We are very appreciative of your continued strong response to our web site. Since the opening of the site last October we have experienced a very large turnover of items, and are in the process of updating the site. 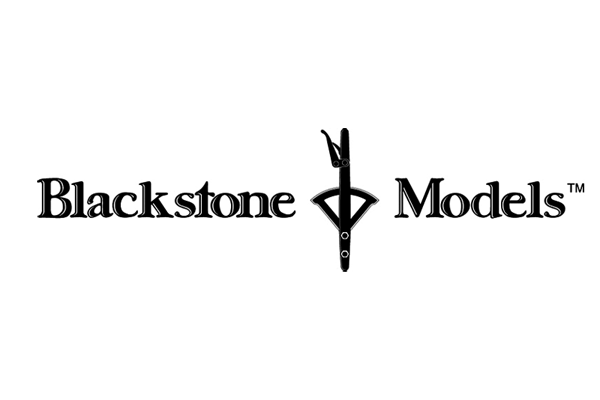 So far, we have updated the HOn3 Blackstone items; HO/HoN3 brass models; N scale Unitrak; Kato Amtrak items, including passenger cars; and foreign N Scale models such as Eurostar and the new TGV Reseau 10-car set. We will be updating within the next week: the N Scale locomotives; the Micro-Trains runner packs; and possibly N Scale passenger and freight cars. Atlas: Trainman heavyweight passenger cars almost sold out. Only a few C&O and Santa Fe single cars remain. Coming late summer-early fall is a special run of Norfolk Southern SD60s. Broadway Limited Imports: Just a handful of ES44ACs and AC6000s remain. Due in a few weeks are the EMD E6/7/8 A-Unit and B-Unit diesels with sound and DCC. Broadway will follow-up later this year with the Pennsylvania Railroad T1 Duplex 4-4-4-4 steam locomotive, as well as F3 and F7 diesels in many road names. We have seen the test model of the T1 and it is outstanding! Fox Valley Models: Fox will releasing this summer a large number of the highly colorful and popular “CSX/Chessie” GEVOS in the following schemes: Clinchfield; RF&P; Chesapeake & Ohio; Monon; New Haven McGinnis; Atlantic Coast Line; Louisville & Nashville; Seaboard; and Seaboard Family Lines. Do not miss the opportunity to acquire the outstanding FOX GEVO in the famous 1950s paint schemes. Fox will follow-up with reruns of earlier GEVO models in: Florida East Coast; Burlington Northern Santa Fe Swoosh (BNSF); Citirail; GE Evolution Hybrid; CSX Safety Train; Iowa Interstate in Red; and Chessie System. Fox also makes outstanding freight cars such as the B&O Wagon top box cars and cabeese, as well as the 3000′ and 4700′ covered hoppers. 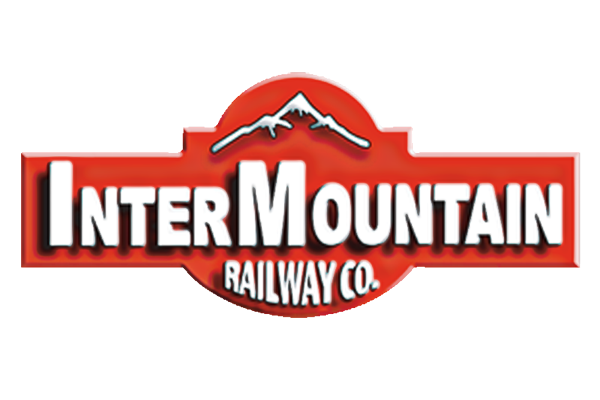 InterMountain: A handful of Centralia Car Shops passenger cars left in Southern Pacific Sunset Limited, Nickel Plate, and C&NW. New cars due in September in Pennsylvania “Fleet of Modernism”, Pennsylvania Tuscan 3-Stripe; Southern Pacific Lark early and late paint schemes, Southern Pacific Sunset Limited, and New York Central “Twentieth Century” and post-1946 scheme. Kato: We just received the following: Amtrak EMD F40PH Phase III (3 #s) in analog and DCC; Amtrak P42 Late Phase V (2 #s) in analog and DCC; Denver & Rio Grande Alco PA A-Units (2#s) and B-Unit (1#) in analog and DCC; Western Pacific F3 A-Units (2#s) and B-Unit (1#) in analog and DCC; Amtrak Phase III and Phase V autorack sets; and reload of Amtrak Phase III and IV 4-car passenger car sets. New releases due in the next months are SD70MACs in Alaska Railroad and BNSF; EMD SD70ACe “the Spirit’ and Union Pacific Nose Headlight locos; EMD Union Pacific “Nose Hera;d” E9 A-Unit and B-Unit engines; a new release of the Union Pacific 11-car “City of Los Angeles” passenger train; and Gunderson Maxi-IV TTX 5-car set in Old and New Logos. The only new foreign set is the just arrived TGV 10-car Reseau set. Very few left as of this update. Micro-Trains: The May 2018 releases arrive late next week. They include: Union Pacific two-tone gray Mail Baggage; Pennsylvania double door 50′ box car; Canadian National caboose; Heinz Car #9; Baltimore & Ohio covered hopper; Allied (Orange) 48′ containers (2#s); Northern Pacific 36′ box car; Western Pacific 40′ special boxcar; and Railbox graffiti “Easter” 50′ box car. The Rio Grande and Southern Pacific woodchip runner packs are sold out. Mid-month brings the Pacific Fruit Express 16-packs (individual numbers) reefers in the unweathered and weathered schemes, as well as SP cabeese. We also located a number of new, “out-of-production” runner packs that we will be posting over the weekend. Rapido: Get your reservations in now for the very popular Osgood Bradley passenger cars due soon. O Scale: Watch for a major update soon. We also look forward to meeting you at the O Scale 50th National Convention in Rockvile, Maryland. The convention will take place at the Rockville Hilton between August 23-26th. August 11-12, 2018: Greenberg Train at Raritan Center in Edison, New Jersey. August 18-19, 2018: Greenberg Train Show at Chantilly Expo Center in Chantilly, Virginia. August 23-26, 2018: O Scale 50th National Convention at the Hilton Hotel in Rockville, Maryland. 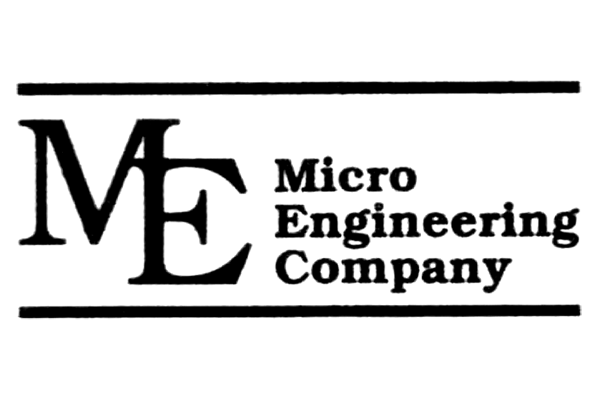 October 6-7, 2018. Carnival of Model Railroading at the Fairgrounds in Berea, Ohio. Located outside of Cleveland, Ohio and near the Cleveland Hopkins Airport. Welcome! Thank you for your response to our web site. Recent shows in Massachusetts, New Jersey, and Virginia, as well as responses to our web site, demonstrate the vitality of our hobby and the growing appeal of N Scale. We are in the process of updating our inventory and adding many new and hard-to-find items. 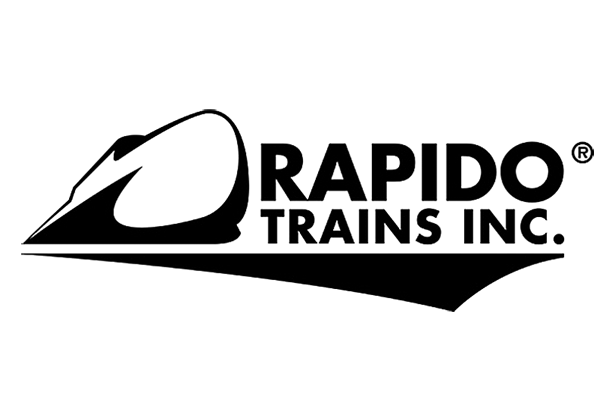 March 10-11, 2018: World’s Greatest Hobby, New Jersey Expo Center, Edison, New Jersey, Booth #219. 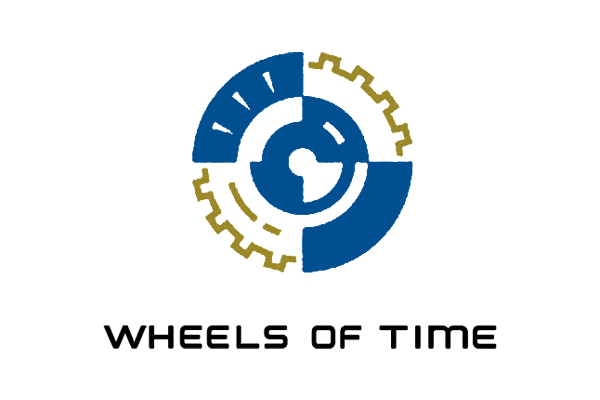 March 17-18, 2018: Railfest 2018, Lakeland Community College, Kirtland, Ohio. Note: Located just north of Cleveland, this is the largest model train show in Ohio. April 14-15, 2018: Great Scale Model Train Show, Maryland State Fairgrounds, Cow Palace, Timonium, Maryland. Our first update covers new products, as well as provides a listing of the shows we be attending in November, December, January, and February. New products continue to arrive with the opening of the train season. Kato USA is releasing models of the CB&Q E5 A-Units with the red & black nose stripes. Models are available in analog and DCC versions. The beginning of November should mark the arrival of the Milwaukee Road Olympian Hiawatha FP-7s and matching 9-car passenger car sets. The DCC-equipped units should arrive later in November. We also received the new run of Fox Valley Models GEVOS in the CSX Heritage road names, including: Chessie System (CSXT), CSX, Conrail, Georgia Railroad, Nashville, Chattanooga & Tennessee, New York Central, Pittsburgh & Lake Erie, Seaboard, Seaboard System, and Western Maryland. We have also custom installed Train Controls System (TCS) DCC in many of these units. We continue to expand our offerings in DCC in response to your request for electronic capabilities in your model train products. Traditionally, we ordered one or two DCC units to go along with twelve analog units. Today, out sales are far more tilted to DCC. 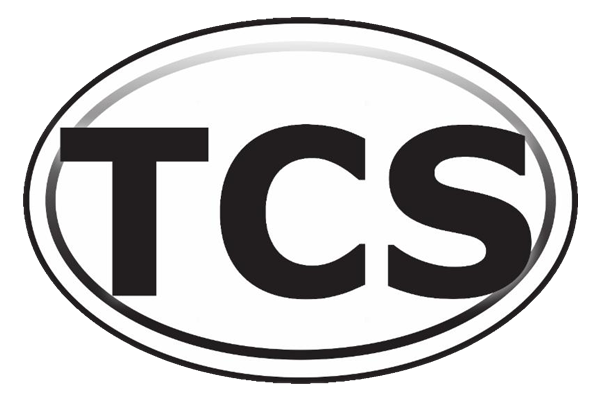 Our custom installations of TCS DCC have been well received with sales of hundreds of units. From time-to-time we will have special sales on select items. Currently, we are having a special sales on 4-packs of the N Scale Rapido GARX Meat Reefers. There is also a special sale on Kato HO Unitrak and certain Blackstone HOn3 models. November 4-5, 2017: Great Model Train Fair, New York State Fairgrounds in Syracuse, New York. November 25-26, 2017: Greenberg Train Show, New Jersey Expo Center, Edison, New Jersey. December 16-17, 2017: Greenberg Train Show, Dulles Expo Center, Chantilly, Virginia. January 27-28, 2018: Amherst Railway Society Train Show, Eastern States Exposition Grounds, Springfield, Massachusetts, Better Living Center Building, Area 17. February 3-4, 2018: Great Scale Model Train Show, Maryland State Fairgrounds, Cow Palace, Timonium, Maryland.